Thank You For This Ministry! Thank you for the kind words about what the Lord is doing in your lives and spheres of influence through this ministry. If you’d like to share your gratitude, please do that here. If your appreciation is too personal, you may request that we not use your name. Will you help us reach more people? 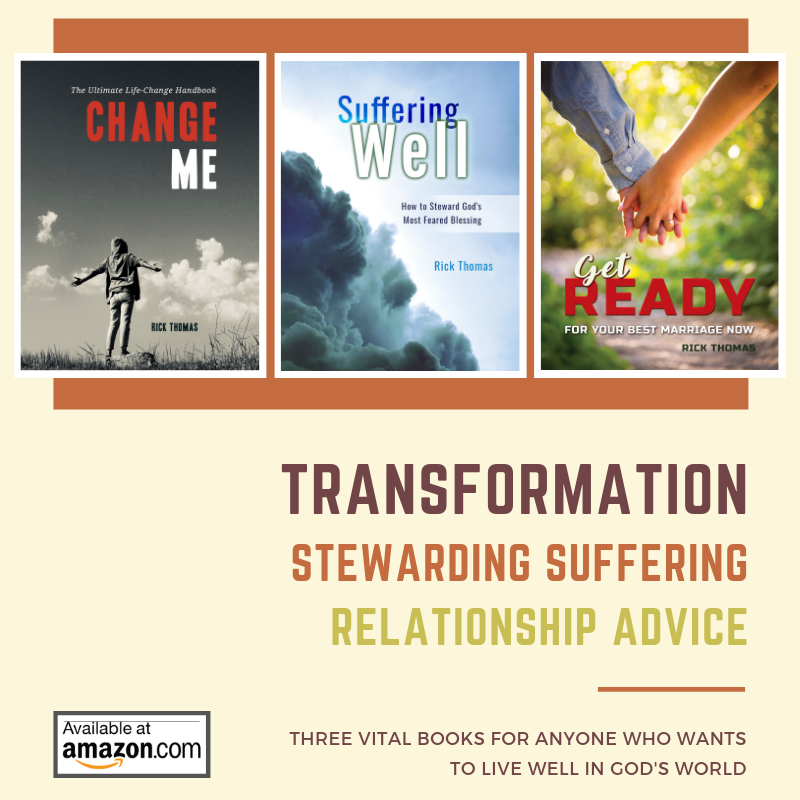 “I have finished Change Me, and now I am re-reading it…this time with my husband. My eyes have been opened, and I have learned much. So grateful!!! Thank you!” – R.L. “Your latest podcast and article on Idol Swapping was just fabulous. I think it speaks to EVERYONE and we (the ladies) will definitely be listening to this the next time we meet. I have been listening to you long enough to understand that the names and genders are interchangeable entirely, but in this instance, as a woman (a ‘Mable’) what wouldn’t I give to hear this same podcast with Mable in the hot seat instead of Biff! The impact would be even greater I think. Regardless, it’s excellent. I’m a huge fan of Biff and Mable, and I was thinking, if you’re ever looking for a career change, I’d LOVE to see a DVD series based on these two fascinatingly flawed people. Your podcasts come to life for teaching purposes. Both educational and motivational, not to mention (awkwardly) entertaining. Compelling viewing! I really do appreciate how long and hard you all work and I know that almost all of your articles and podcasts apply to EVERYONE, because regardless of age or stage, situation or status, gender or geography – we are ALL fallen and struggle with the same core problems. I’m so grateful for the life-changing impact this ministry makes, and for your amazing insights into God’s word and our purpose in light of that. “I love everything you write, but this is amazing and truth, I love it. My biggest storm in life was the most redemptive and glorious. God delivered me from my futile thinking and legalism and left me with love, trust, and gratitude. He became my everything, and he also reconciled my broken relationship in the process. What an awesome God! I cannot praise his name enough!” – S. A. “I want to thank this ministry for all that you do, I first heard about your website about a year ago. It was during one of the many times Todd Friel (Wretched Radio) referenced an article of yours on his radio show. I currently browse your site 1-2 times a week. I recently left a church that, among other issues, “over-spiritualized” everything. While it may be a given and come naturally for you to provide biblical and practical content for growing in God through life’s difficulties, this is something still very new to me. Every article that I have come across on this site has uniquely blessed me. Your content is unlike anything I was surrounded by growing up. However, your content both encourages me to grow and guides me in the process of growth in the area where it truly and eternally matters – in the Lord. “Thank you for faithfulness to our Lord. My husband took his life (last year). I thought he took my life with him; that day my heart was so crushed. I stand amazed in the presence of Jesus the Nazarene. I cannot believe how much grace He has poured out on me through His church in the last few months. Your article on “Surviving Suicide” let me begin to let go of my husband. And to finally believe in my heart what everyone told me – I did not kill (my husband). “It is a privilege and pleasure to partner with you in your ministry. I first became aware of you some years ago through Todd Friel/Wretched, when I purchased the Drive-By Marriage series. “God has used (and continues to use) your ministry to encourage and support me through some very difficult circumstances. Although I have never reached out myself, your content has always been a real blessing and encouragement to me. I do not doubt that there are many, many others out there who may not ever connect directly with you or your team, for whatever reason, but benefit from the Christ-centered help you so lovingly provide.